This past Wednesday was a busy one. I watched it fly by between last-minute travel shopping, coffee shop dates, a book launch, and enjoying time spent with some of my most wonderful people. 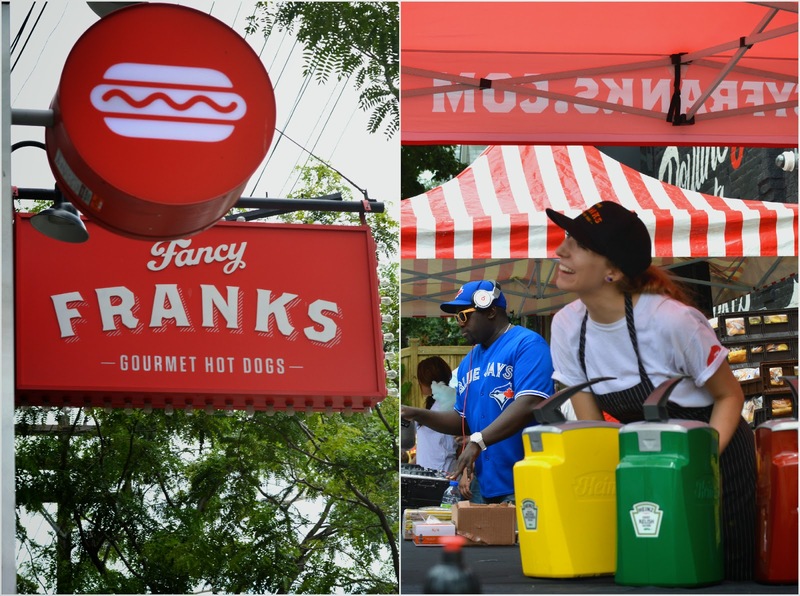 First stop was to celebrate National Hot Dog Day at Fancy Franks in the Kensington area, which my sister managed to scout out the day before. The hotdogs were free and all donations went to SickKids Foundation. There was some awesome face painting, cotton candy, the very cool DJ Lynx and great staff to pull the little event together. See more on the Fancy Franks site, here. Nothing better than a fully loaded hot dog to start off a warm summers day out & about downtown. After some sister bonding I met up with my gorgeous and inspiring friend Julie, who you can see more of here, on her blog. Our conversations are always so fun and exciting, infused with encouragement and laughter since we are always supporting each other's interests and initiatives. Later on that afternoon I attended the launch of "Plant-Based Diet for Dummies" at Marni Wasserman's Food Studio and Lifestyle Shop. I'm a total advocate of the "everything in moderation" diet, meaning I don't suppress cravings, I just simply avoid having too much of the "bad". I make sure to drink lots of water, eat minimal amounts of processed foods, and really stock up on the good stuff. That being said, a plant-based diet is definitely an interest of mine since it combines my love of fruits and veggies, while eliminating the crappy stuff. 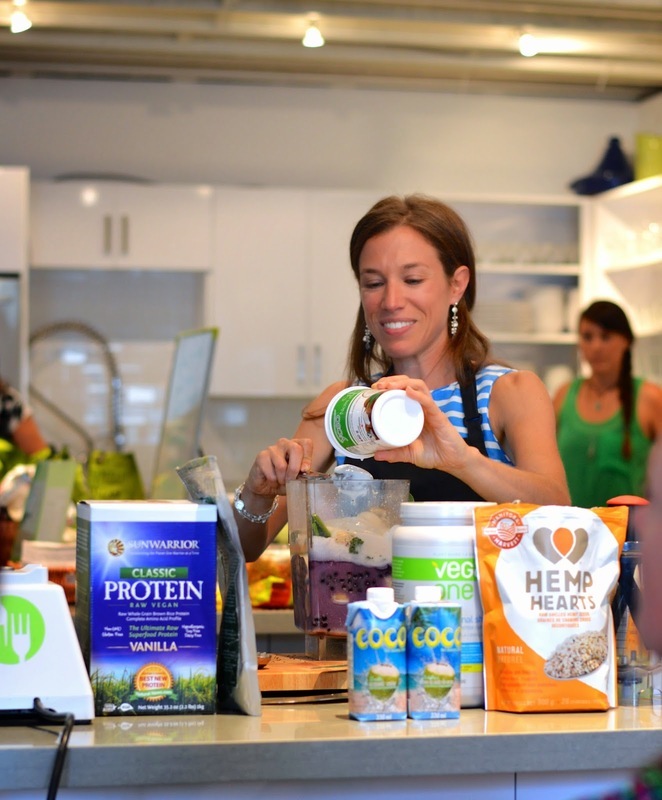 I really enjoyed Marni's smoothie demo, the introduction to some wonderful natural foods, and especially the motivation to eat healthier. Read more about her books, classes and overall philosophy at marniwasserman.com. Sadly, I can't say no to my good 'ol meat and fish just yet, but I do believe that her advice and recommendations will help to maintain a healthy diet. I am now enjoying my time in France, hoping to stick to my posting schedule as much as possible. I can't wait for the weather to warm up (and dry up) so I can get some great photos of my temporary home in the lovely little town of Saint-Étienne.